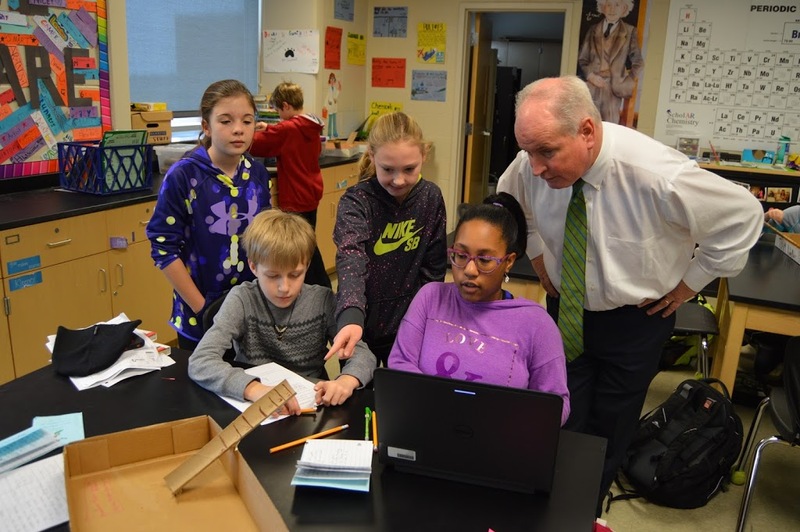 Rep. Brady recently visited George L. Evans Jr. High School in Bloomington, serving as “Principal for a Day” along side EJHS Principal Trevor Chapman. Rep. Brady spent time in two different 7th grade social studies classrooms and had a wonderful time discussing the process behind passing laws and various other topics related to state level government. He also toured the building and visited several other classrooms talking with students and staff about many of the various educational activities happening in the building. This included time in the school cafeteria mingling with students during lunch time.